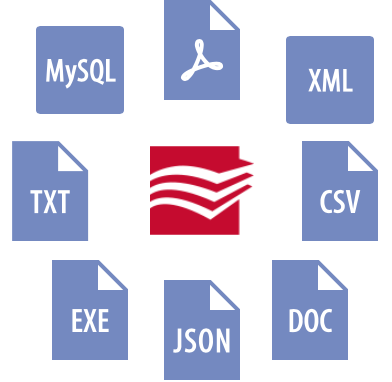 ABBYY FlexiCapture is a highly accurate and scalable document imaging and data extraction software that automatically transforms documents of any structure, language or content into usable and accessible business-ready data. 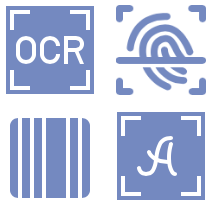 An intelligent self-learning classification and state-of-the-art recognition technologies enable FlexiCapture to replace error-prone manual processes with automatic document classification and processing. FlexiCapture provides powerful tools to integrate custom stages and external modules, as well as customizable workflows using scripts, so that it fits perfectly with the way each company works.It offers scripting capabilities for customizing Scanning and Verification stages. It is vital for some projects to have additional tools, that FlexiCapture provides, for scanning/verification operators in order to perform special actions or follow regulations. 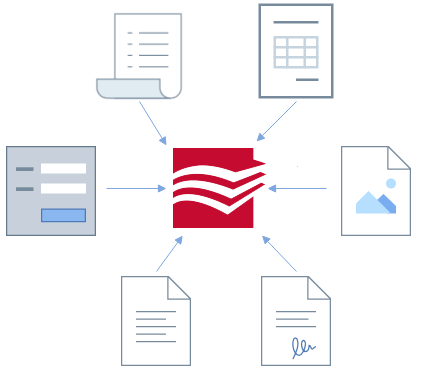 FlexiCapture enables small, medium and large organizations to manage their document-driven business processes more efficiently and productively without compromising the way each organization works. FlexiCapture Scanning Station enables easy scanning with any TWAIN-, ISIS- or WIA-enabled device. and is available in thick and thin client versions. The Scanning Station features scanning profiles, which enable pre-defined settings for applications to be applied to specific batches. When scanning a new set of documents, the user needs only to choose the right profile from a drop-down menu. Pre-loaded or scanned images can be improved before processing using features that include rotation, deskewing, hide sensitive data and more. The recognition stage includes assembly of documents, classification, text and data extraction and automatic validation. These stages are simultaneously executed in unattended mode. FlexiCapture can automatically assemble multi-page documents. This may rely on separators (blank pages inserted between two documents), page counters or advanced ABBYY classification algorithms that enable automatic detection of pages belonging to different documents. Group verification for checkmarks and digits is applied across documents in the form of recognition projects. Identical figures (signs) from an entire document batch are displayed together. Field Verification checks data fields one by one. Recognition results of all required data fields are simultaneously viewed and compared with the original image. Information that is not successfully recognized, such as handwritten text or notes, can be typed manually into the fields. 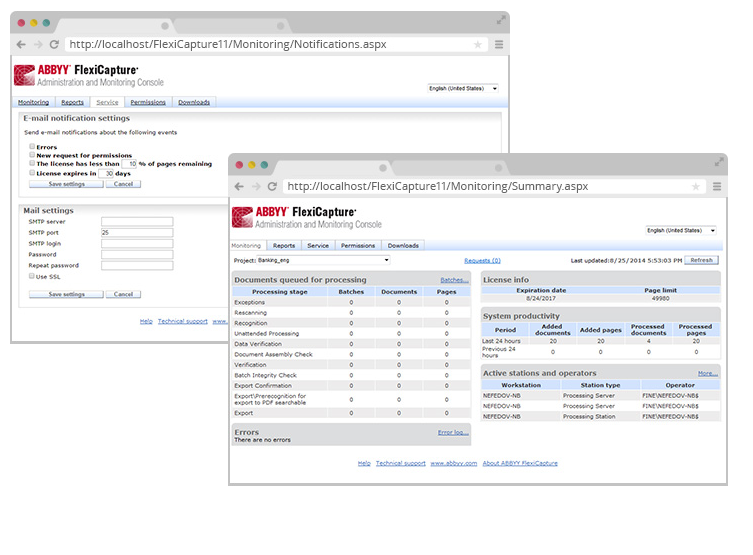 FlexiCapture includes a web-based Administration and Monitoring Console that enables 24/7 supervision from any location. An administrator can easily manage user rights, check event logs, view standard reports or generate custom performance reports. Administrators may choose to receive e-mail alerts for important events, like errors, license expirations or page count limits. Administrators can also be notified about imminent database overflow, exhaustion of disk space, requests for access rights, or failed log in attempts. Beside this options, the Web Service API ensures easy integration of FlexiCapture into many business applications and workflows the organization might use, like our document management system JaniumDOC.